Celebrate the reason for the season with radiant flowers cradling an exquisitely crafted Crystal Cross. This lovely gift will be a source of inspiration for years to come. 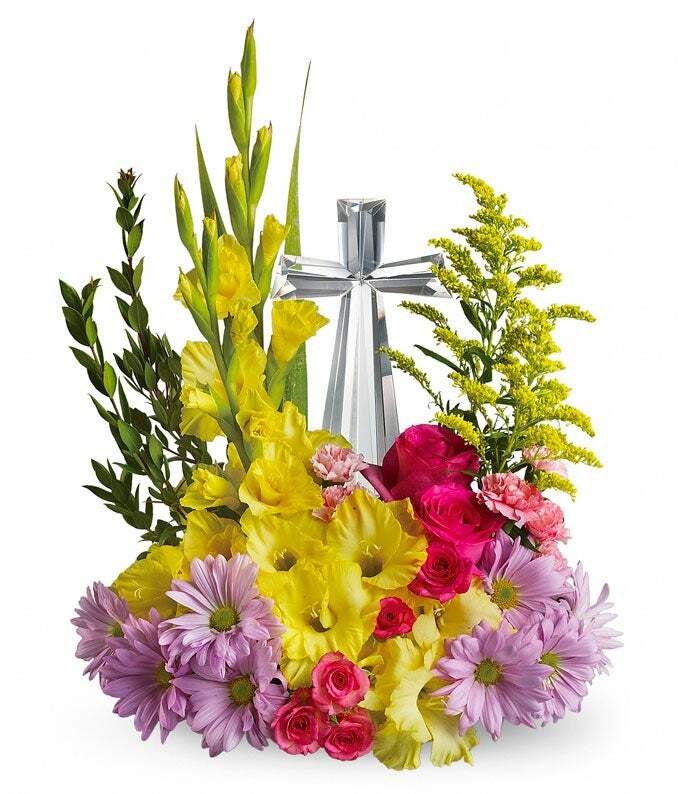 The magnificent bouquet includes yellow gladioli, lavender daisy spray chrysanthemums, pink carnations and solidago accented with assorted greenery and delivered with a 7 ½" high, multifaceted Crystal Cross.